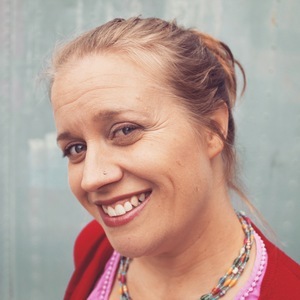 Today I’m delighted to share another guest designer from Australia with you! 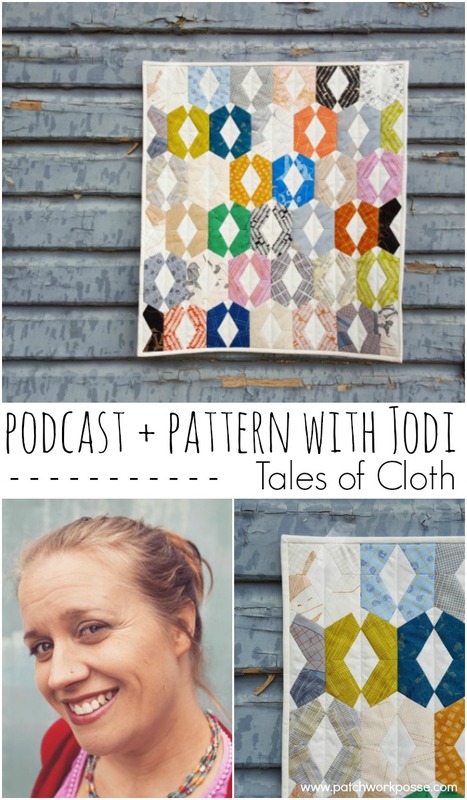 Jodi is the super cute gal behind the business and blog: Tales of Cloth. That is where she sells english paper piecing templates that are laser cut and usable more than once! Lately the hand sewing has been happening more around here and I really am enjoying it. It’s great to have something that can be packed around when you jump in the car, or sit in front of the t.v. with. 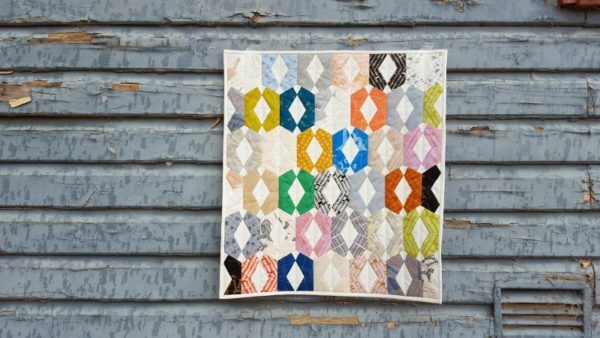 It was fun to chat quilting and her process of designs, patterns and the growth of her business. I’m sure you will enjoy her just as much as I did! I started blogging and making kids’ clothing to sell at local craft markets back in 2011 under the name Tickle & Hide. 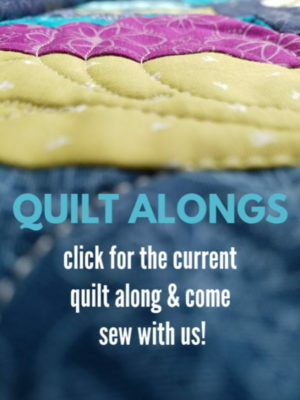 It was a wonderful, fun way to connect with local makers, get to the know the online crafty community and buy lots of fabric. 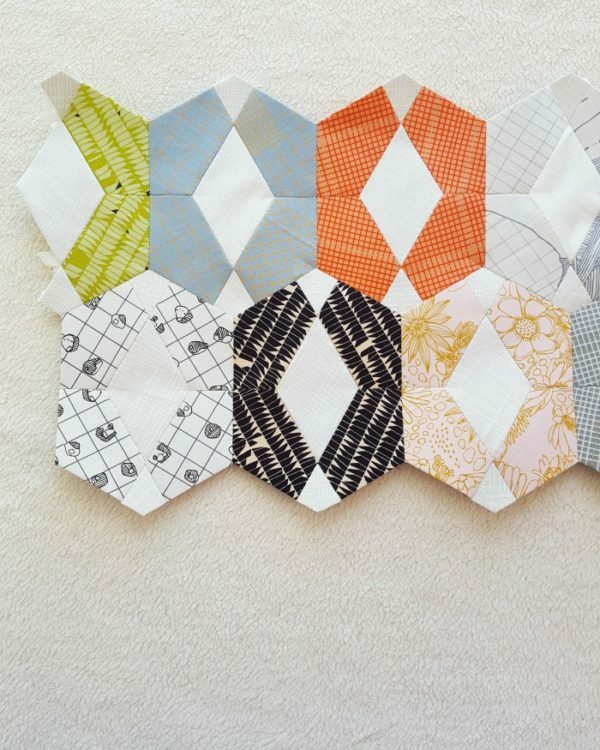 But the more I sewed, and read, and created, the kids clothes just kept being left half finished for the new quilt ideas I had building up and overflowing. We spent a lot of time coming up with all kinds of hair-brained ideas to use his techy, mathematical skills in a small country town. And then finally, one day, came the lightbulb moment – laser cut paper pieces. And so with his brains and my creative flare combined, we’ve developed Tales of Cloth Paper Pieces. He built a laser cutter, and I’ve been madly stitching late into the night. Our goal is to help people make unique and beautiful hand-pieced quilts, connecting different shapes together to discover new tiling patterns or reimagine old ones. 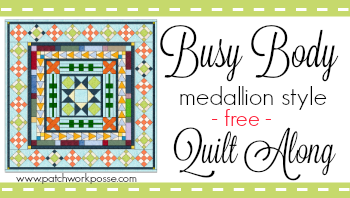 Glass Beads is an English Paper Pieced mini quilt. 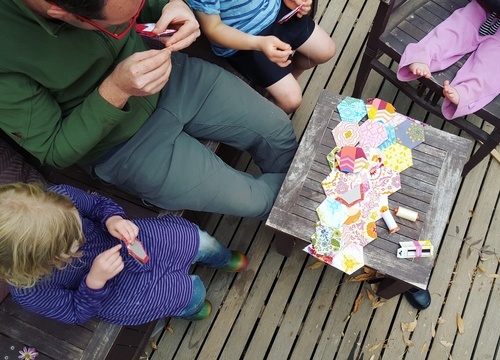 The design came from playing with my Hexie Shape Family, a packet of mixed shapes I sell in my shop. I snapped a photo of the pattern of shapes laid out on my table, and waited for the perfect execution. I found it when a bundle of Carolyn Friedlander’s Carkai went on sale. I knew it would give it the classic, calm look I was after – something that would look good as a wall hanging. Because I usually like scrappy and clashy, I enjoyed relying on, and trusting Carolyn’s colour palette to get the look I wanted. 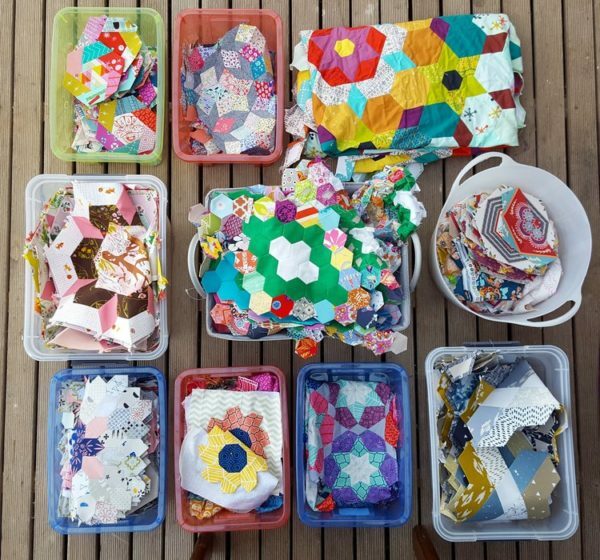 Your favourite fabric scraps/jelly roll/fat quarter bundle. Copy Paper for printing your templates, or you can purchase the templates separately in my shop: 3/5″” kites, 2″” crowns, 2″” 6 point diamonds. 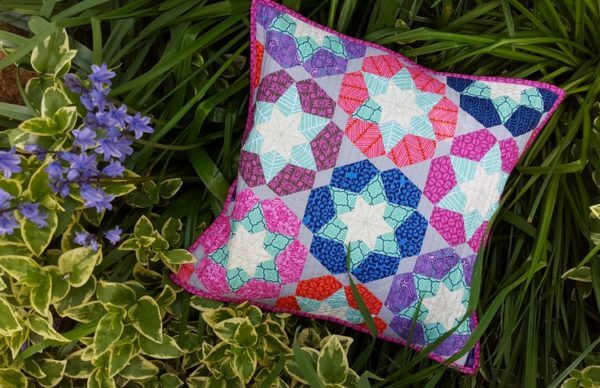 How did you get your start in sewing? 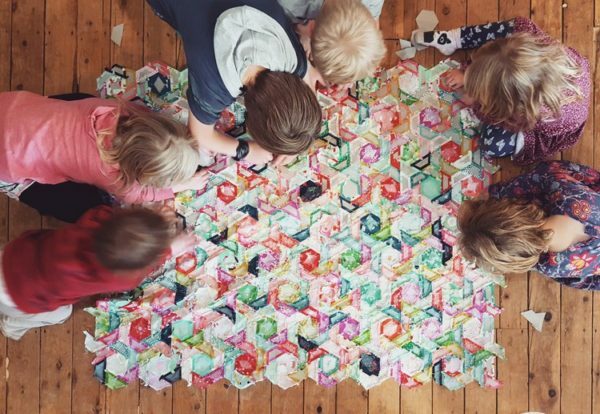 After my second child was born, and I had just finished my degree, I thought I would die if I didn’t have a project or something that was just for me. I found Etsy and started using all that time nursing on the couch to buy fabric. And then I started making baby clothes and selling them at local craft markets. 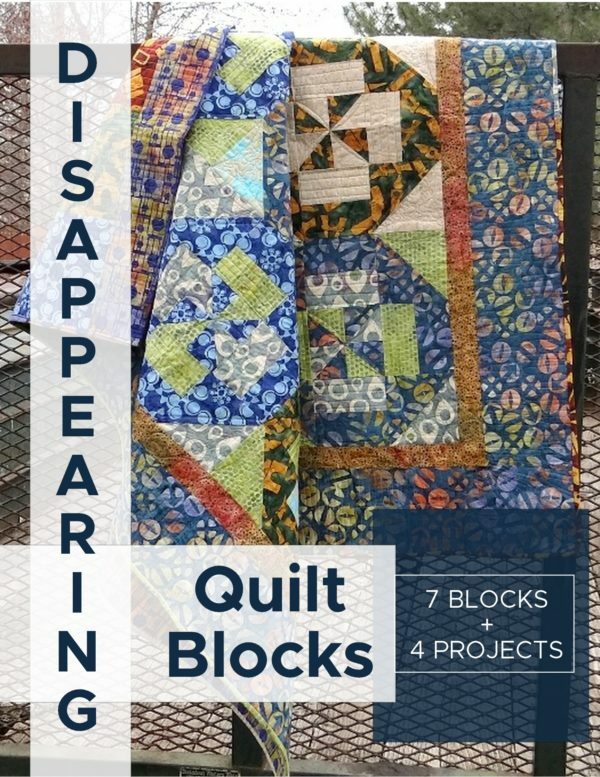 When I started making quilts from the scraps, I became hooked and abandoned clothes sewing altogether! My morning coffee outside on my verandah, overlooking my neighbours hill. It’s where I get all my ideas. Do you have a favorite notion? I love my paper pieces! 😉 And Bohin Milliners Needles, size 9. 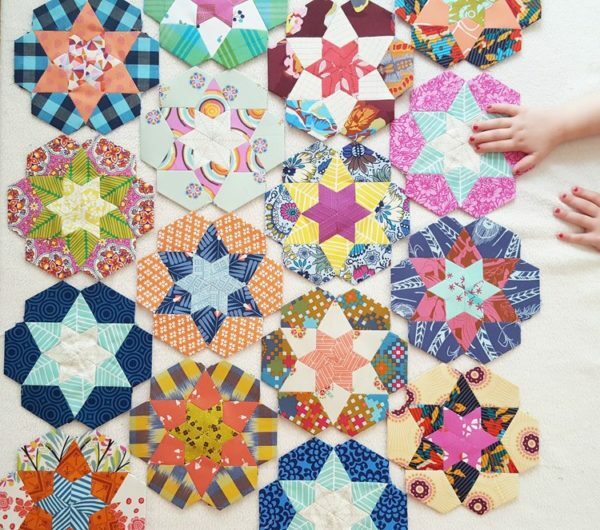 Last month we launched 4 new EPP kits in the shop! 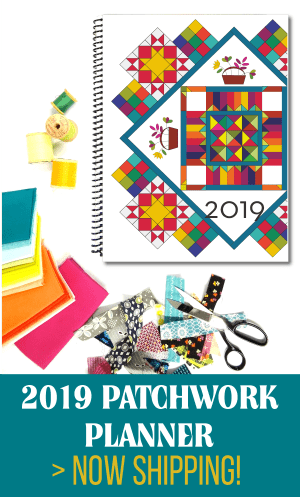 If you like having all your pieces counted and cut for you, and you’re after a fun hand-stitching project for evenings or holidays, come check them out! Where can you find her? Have a question for Alyce? Drop it in the comments! 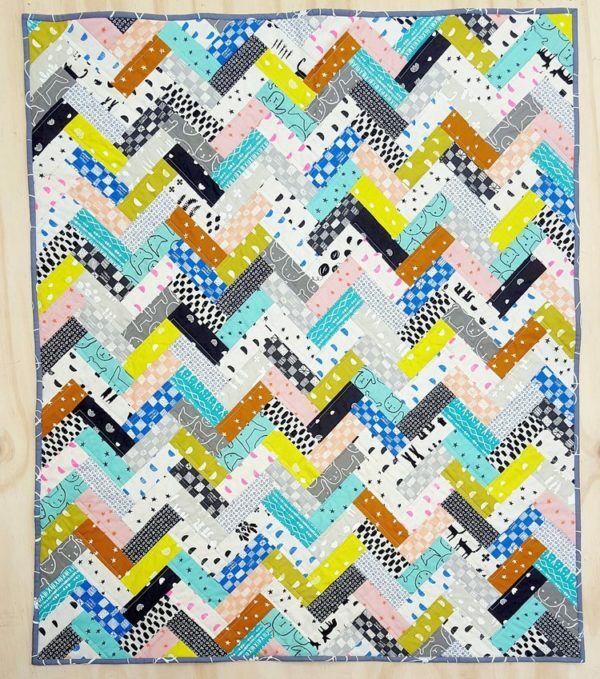 This is an interview with the monthly guest designer for the online quilt group. 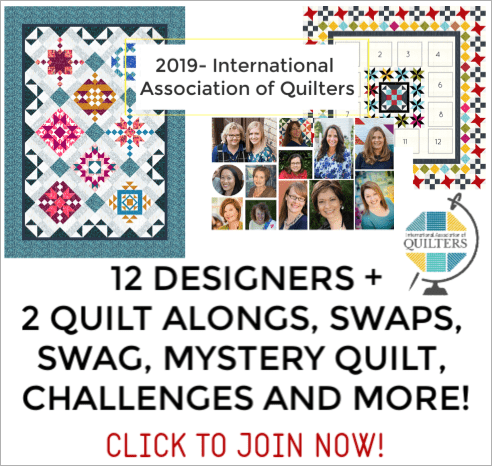 You can find more info on it here: www.iaquilters.com as well as become a member for full access to all patterns by guest designers, block of the months and more. It’s open year round- -join anytime for full access. Plus, everything is online- no packing, traveling required.